The balcony was an amazing bonus, staff were lovely, and the food from the bar was great quality. 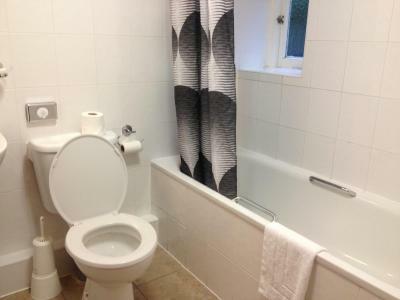 Very good price for the room as well. close to public transport in to central london.helpful staff. The receptionist was very nice and friendly!! I wish him the best. Very nice place. Room was just right, had a fridge. Right place to get into London and enjoy the day. Staff really helpful. 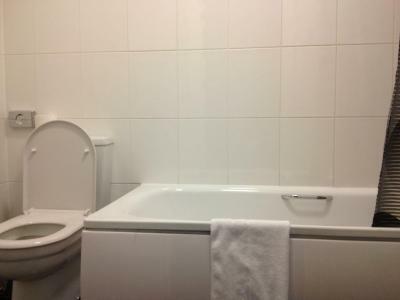 Good value for money and only 1 hour by transport to central London. Once we were there we found an easy route to get into London and back. Staff were friendly and helpful. Good facilities including kettle, mini fridge and plenty of sockets. Provided with extra pillows when requested. Bridge Park Hotel This rating is a reflection of how the property compares to the industry standard when it comes to price, facilities and services available. It's based on a self-evaluation by the property. Use this rating to help choose your stay! With free parking and free Wi-Fi, the Bridge Park Hotel is just a 5-minute drive from Wembley Stadium. Stonebridge Park Underground Station is a 15-minute walk away. 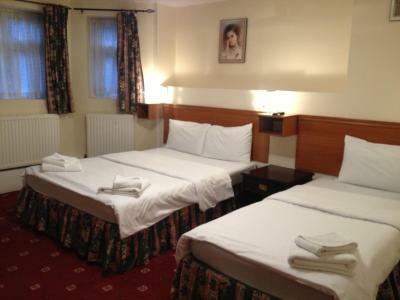 The spacious bedrooms each have a private bathroom with a hairdryer and free toiletries. All rooms feature tea/coffee facilities and a work desk, and stationery packs are provided. Guests can try traditional British cuisine and authentic curries in the restaurant. Hearty cooked breakfasts are available daily, and there is also a bar with a games area and terrace. Bridge Park Hotel is just a 10-minute drive from Westfield London Shopping Center and Shepherd’s Bush Empire Arena. London Heathrow Airport is a 25-minute drive away. When would you like to stay at Bridge Park Hotel? Features include a TV, fridge, free Wi-Fi, and tea and coffee-making facilities. These rooms have shared bathroom facilities. 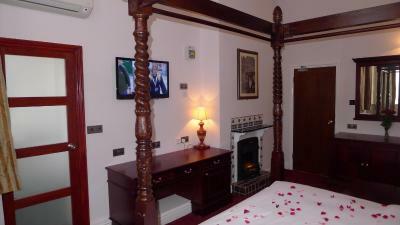 This air-conditioned room with upgraded comforts and amenities includes an electric fireplace. 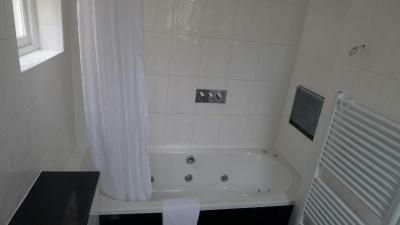 There is a contemporary bathroom with a shower and spa bath along with a TV and phone. Other features include a king-size Mahogany Poster Bed and an additional Sofa Bed along with large work desk, 32-inch flat-screen LED TV, and a CD/MP3/DVD player. Please note there is no window in this room. The Bridge Park is a fine hotel, neatly furnished and serviced to offer our guests an exceptional stay. 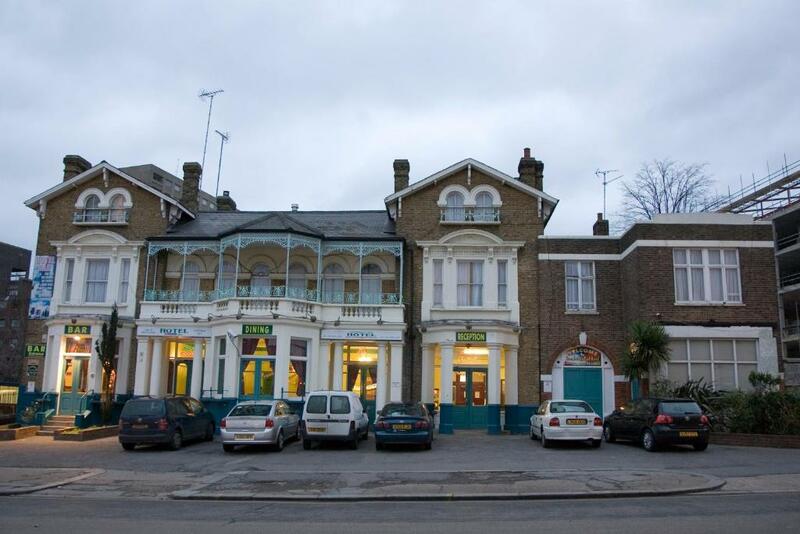 The hotel's historic Grade II listed building adds great character making it the perfect venue for all kinds of functions. Located in one of the busiest commercial capitals, the hotel is a perfect base with easy access to the City of London, tourist attractions, shopping malls, local amenities, business and leisure centres. Convenient 24 hour public transport is available to the City of London from the door step of the hotel. 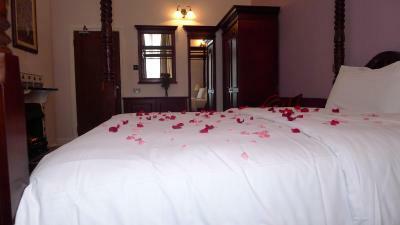 All of our bedrooms are maintained to the highest standard to ensure maximum comfort. With reasonably priced rooms and a range of facilities and services on offer, we hope to welcome you to the Bridge Park hotel. House Rules Bridge Park Hotel takes special requests – add in the next step! ATM card Bridge Park Hotel accepts these cards and reserves the right to temporarily hold an amount prior to arrival. Bridge Park Hotel accepts these cards and reserves the right to temporarily hold an amount prior to arrival. Unfortunately, the hotel did not meet my expectations. 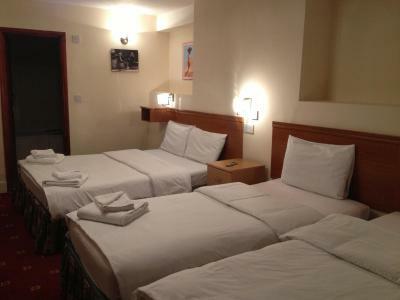 The rooms have an unpleasant smell and they are not cleaned thoroughly, however these are not the only and the main problems that I encountered there. On the second day of my staying at the hotel I returned at around 10 pm after the conference and asked at the reception for the key of my room, but to my great suprised I was informed that I had been moved to another room! That’s incredible and it had never happened to me in any other hotel. The reception had not contact me and had not informed me about the situation- although the had my phone number and e-mail address - and had not asked me for my consent regarding change of the room. As I was back to the hotel after 10pm I did not have a choice and had to accept a very niosy room on the ground floor. Moreover, it is unacceptable that my personal belongings were touched, my handbag and suitcase were opened and taken to another room without my permission. During my staying at the hotel I talked about it several times with the staff of the reception and wanted to meet a manager or/and an owner of the hotel, but the competent person did not contact my until now. Bedroom nice and clean. The service was good. Lower bathroom needs a refurb. Was slightly annoyed we were not advised that the bar was out of use until we arrived. The view from the window, and wifi. When we arrived and got to put room it stunk of fish and it still did when we checked out the mirrors in the room was all dirty there was mould in the showers and toilets. The pizza at there restaurant was nice. Grubby and needs a good clean. Unsafe area due to crime. Noisy people and cars speeding around during the night.